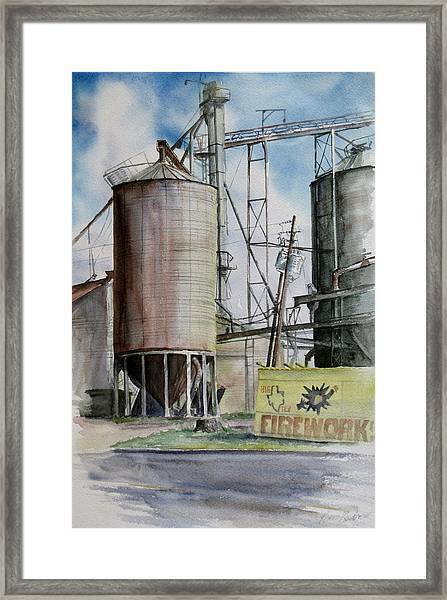 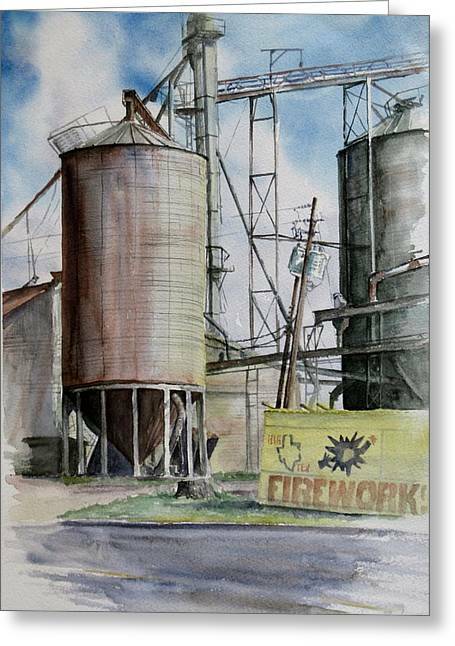 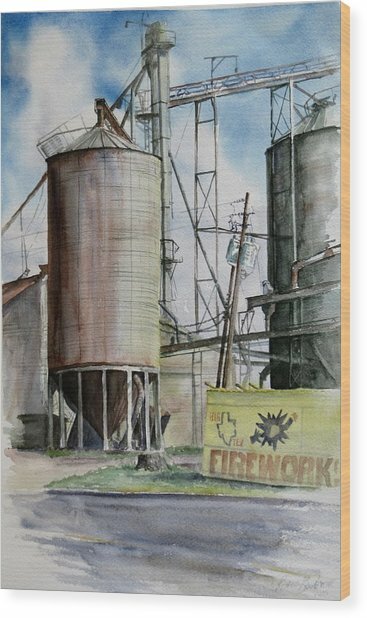 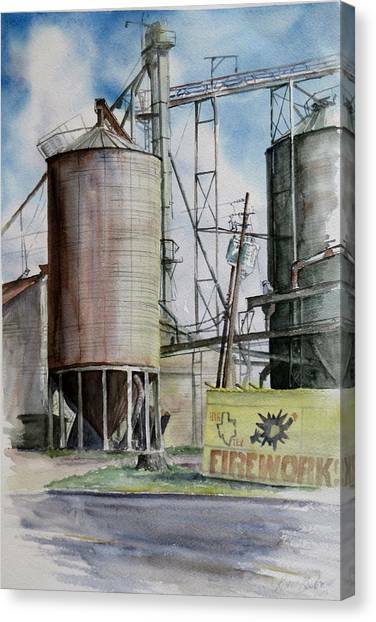 Old Silo is a painting by Karen Boudreaux which was uploaded on October 5th, 2010. 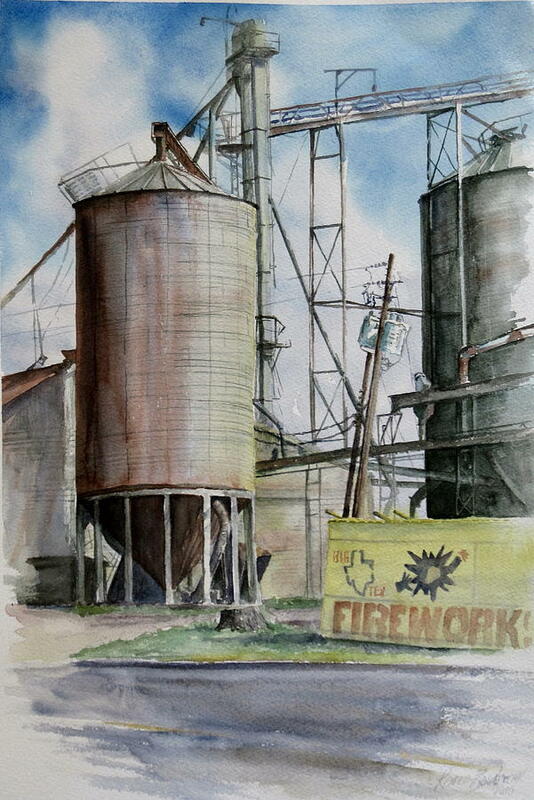 Just an old Silo I saw in Texas one day. 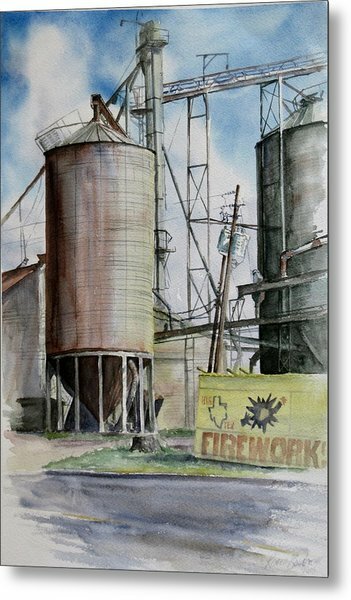 I liked the steel support structures, wires, ropes, and poles between the two giant tanks. 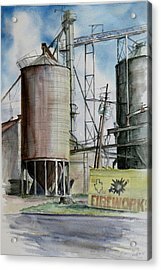 The firework stand just in front was humorous to me.